Bose Solo 10 Series TV Sound System.open box. FULL BOSE WARRANTY. SEALED IN THE BOX. New ListingBOSE 251 ENVIRONMENTAL OUTDOOR/INDOOR SPEAKERS W/ MOUNTS, PAIR WHITE!! These were used in the garage and are in great lightly used condition, just as you see pictured. We tested these speakers out, and they sound incredible. Shows normal signs of usage, with minimum scuffs scrapes, dings. Excellent condition with very little wear. Includes speaker wire, subwoofer, speakers and manual. Proceeds are used to support local programs and services. We promise to resolve your concerns quickly and professionally. LOCAL PICKUP This is sold AS IS. Bose FreeSpace DS 16F Loudspeaker White 043054. Condition is New. Shipped with USPS Priority Mail.OPEN BOX BUT NEVER USED. Bose VCS-10 Center Channel Speaker. Proceeds are used to support local programs and services. We promise to resolve your concerns quickly and professionally. LOCAL PICKUP. This listing includes BOSE ACOUSTIMASS Speaker System SE-5 Series I SUBWOOFER Only. Tested, In good condition Item ships out fast. Item ships out within 1-2 business days. Speakers have scratches, scuffs from previous use / Torn fabric on the corners. Any cords, cables or wires. We won`t be able to cancel order that already processed. 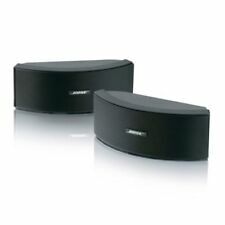 Bose 301 V series Speaker System (Black) pair left and right. Stereo Everywhere® speaker performance produces balanced stereo sound over a wide area. The result of proprietary Bose technologies, these speakers let you enjoy balanced sound throughout the listening area, unlike conventional speakers that radiate sound mostly in a single direction. Bose Acoustimass 5 Series II (2) Subwoofer . Good condition with normal signs of wear. Finish looks good. Shipped with Fedex Ground. Only the subwoofer is included. All of my items ship from a pet and smoke free environment. Please check my eBay store for additional gifts, knick knacks, and household items. Purchase multiple items and receive a discount. Good luck bidding and shopping. 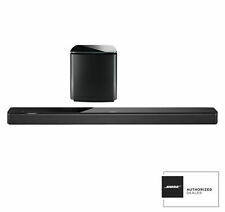 Bose Solo TV Sound System Speaker Model 410376 with Remote & Cable. Condition is Used. Shipped with USPS Priority Mail. Pair of Bose 32SE Indoor Outdoor Commercial Speaker + Mounting Brackets. Swivel Mounting Bracket.Tech Manual Included. Only Used Indoors But Outdoor Rated. Rated for 32 Watts RMS. Very Good Condition. Trending at $62.49eBay determines this price through a machine learned model of the product's sale prices within the last 90 days. Bose 201 Series lll 6.5" Woofer / Speaker " Original "
From a working cabinet. Speaker is rated at 8 ohms and should work in most any Bose. BOSE FREESPACE 3 MUSIC SYSTEM SUB 4 CUBES BRACKETS SOUND GREAT! XLNT CONDITION! Model: FREESPACE 3. Bose Sub-woofer with Wall Mount 2 Piece Bracket. 4 Long Neck Wall Mount Brackets. Input Power 100W. System is for Stereo or Mono Play. Examples of speaker wire size used. Wiring instructions included. This woofer is in decent physical condition. It has a couple of dings, one in the body of the woofer on a long corner and one in the plastic face. I tested this woofer out and it is working. If you don’t hook this thing up right it won’t work right. For sale is a Bose passive subwoofer for the Acoustimass 3 Series II Speaker System. Bose Acoustimass 3 Series II Speaker System - 2 Speakers & Subwoofer White. This work and sounds good but has lots of scuffs and scratches. Bose Acoustimass 3 Series ii system. Bose Acoustimass 3 Series III is magnetically shielded and designed to be used with a 10-100W amplifier. Condition is Used. 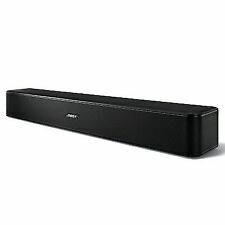 Bose Adaptive Energy Summing speaker design reproduces bass for the front and surround channels from a single enclosure. Direct/Reflecting speaker technology re-creates a natural blend of reflected and direct sound. Bose 251 Environmental Outdoor Speakers (Black, Pair). Condition is New. Shipped with USPS Parcel Select Ground. And we will make sure you are 100% satisfied. Pre owned Bose Acoustimass 5 Series II subwoofer with two double cube redline speakers and two speaker stands. Everything works perfectly except one of the Bose speakers - which would require a $25 investment for a new cone. Very lightly used. Looks almost new. Tested and working. Would be difficult to find a nicer example of this subwoofer. Includes the subwoofer only, no other speakers or cables are included. In great condition. Has a few minor scuffs/ scratches, but nothing very noticeable. Functions correctly. The burn mark is on the subwoofer. Everything has been tested and does work as it should. Box art, manufacturer design and such may vary. Sold as pictured. OSE SUBWOOFER IN GOOD USED WORKING CONDITION AS PICTURED.